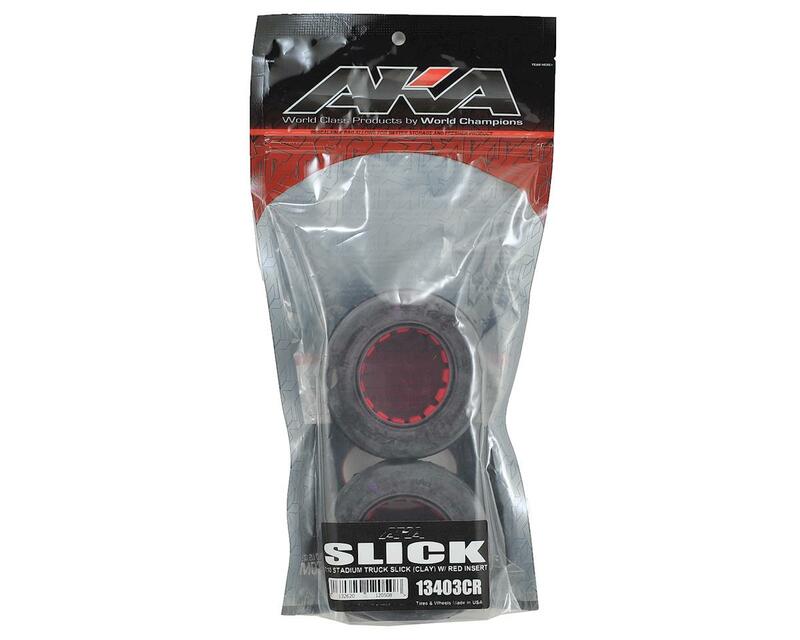 AKA Slicks for 1/10 stadium trucks are a treadless tire designed for maximum performance on high-grip, indoor clay tracks. 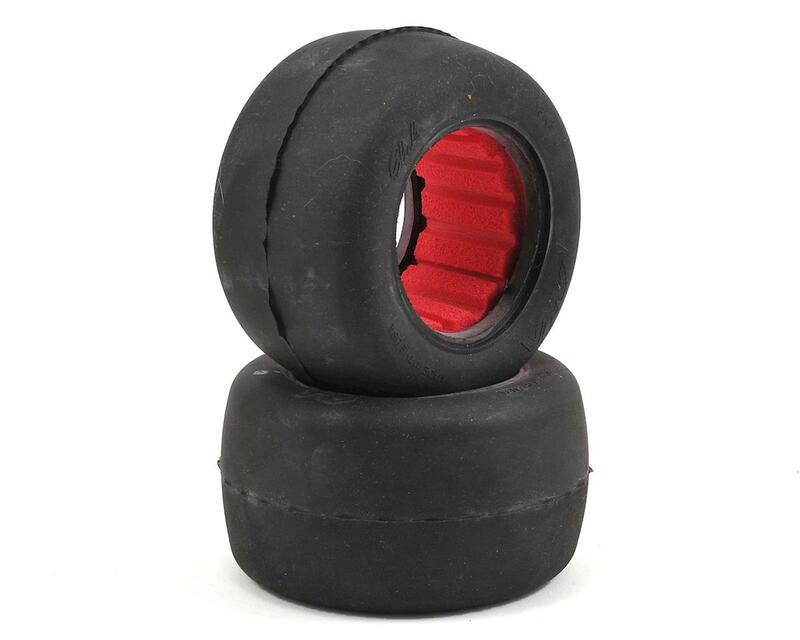 They feature a matte finish and are compatible with all standard 2.2" stadium truck wheels. Available in championship winning Clay Compound and sold in pairs with the industry standard Red soft closed cell inserts. As with all AKA tires, designed and proudly made in the USA. Using these for indoor carpet, excellent consistent traction, with a long life. They wear nice and flat unlike the proline primes.